Core strength training is a crucial part of any rugby training programme. Much of a rugby match involves using brute force against the opposing team, and core strength is vital to giving you the advantage. Building upper body strength takes time and effort, but there are a series of foolproof exercises that can take you a long way towards achieving the core strength needed for this competitive sport. Combined with a good diet, drinking plenty of water, and getting enough sleep, completing core strength exercises will help you feel fitter and healthier than ever before. If you are aiming to significantly increase your muscle mass, eating a diet with suitable levels of healthy protein will also be crucial to help you build this muscle. This is one of the easiest exercises to get you started on a core training programme – so it’s a great one to kick off with if you’re relatively new to training. 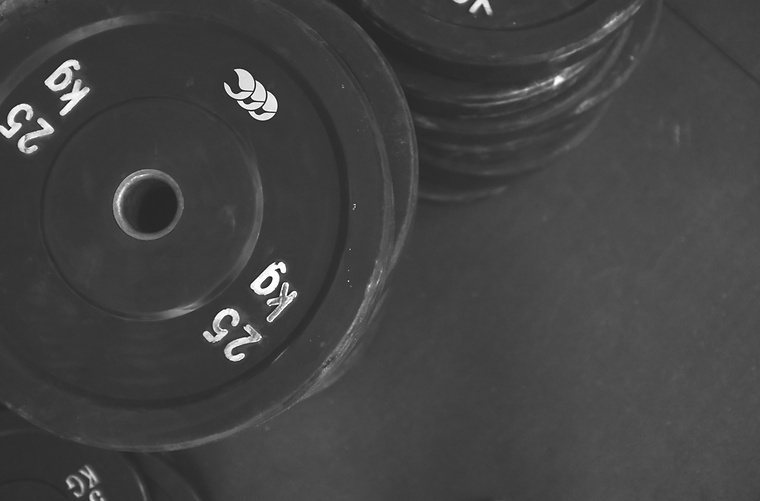 You can use a barbell, a dumbbell or really just anything heavy that has a handle, that you can lift. This exercise doesn’t require any specialist equipment, but is still a great way of working your entire core and toning many of the muscles used whilst playing rugby. Using a comfortable mat, or solid floor – lie on your back and place your hands behind your head. Your legs should be elevated and bent at 90 degrees. As the name suggests, you should look as though you are riding a bicycle. Complete the crunch by moving your right elbow up towards your left knee – bringing you knee in to reach the elbow. This movement is one of the most effective ways to train for rugby; it targets the obliques, through the side-to-side motion, and the reverse crunch really impacts on your lower abdomen. The longer you can hold the crunch in position before swapping sides, the better – although if this is a new exercise for you, it is worth building up gradually over time. Start by holding the position for five or ten seconds, before building up to a total of 60 seconds. As with many core exercises, trying to achieve too much too early in your training can put you at risk of pulling the muscles in your back, which can cause long term, painful problems. This full-body exercise offers a serious and dramatic core training effect. A particularly effective version is known as the tall-kneeling overhead press, performed with dumbbells or kettlebells. Whilst kneeling on both knees, stretching up as tall as possible, squeeze your glutes together, extend your hips and tighten your abs so your rib cage is locked in place. Press the weight over your head, and make sure you keep your lower back contracted as the weight moves. Using a Swiss stability ball is a safe and comfortable way to build your abs in particular. Kneeling on a mat, place your hands straight out in front of you on to the Swiss ball. Your back should stay straight, and your abs should be tense at all times. Roll the ball along the mat away from you, as far as you can, and then roll it back to where it started. Once you get the hang of this exercise, you can make it more challenging by changing your position to roll the ball out at a 45 degree angle to either side, to target your oblique muscles. Chin ups are particularly effective when combined with a weight belt – which increases the challenge and makes your core work harder. You will need a fixed horizontal bar at head height or above. Grip the bar firmly using both hands, and pull your entire body weight up to the level of the bar, until your chin is above the bar. This exercise will strengthen your lower back, hips and abs, improving your core strength, and over time this will reduce the discomfort and stiffness you may experience after a long hard training session. By using a careful combination of these exercises, you can create a truly dynamic and interesting rugby training programme that will allow you to build up many different aspects of your core strength, and improve your overall fitness. Combined with a healthy diet, these core strength exercises will give you that extra boost you need to become a truly competitive rugby player.